When Dennis and I purchased our brand new Grand Design Momentum 328M in 2017, we were asked if we wanted to purchase an extended warranty. We honestly weren’t sure if it was worth the money or not, but opted for the expensive up front warranty just to have a the peace of mind knowing we’d be covered beyond 1 year. We’ve now been RVing full time for a year and half and had a pretty substantial amount of repairs done to the RV with our warranty. So, we decided it would be the perfect time to reflect on our extended RV warranty experience thus far, sharing what it cost, what it covers, and if we think an extended RV warranty is worth it or not. So you’re buying an RV – yay!! It doesn’t matter if you’re doing weekend getaways, month long trips across country, or full timing, exploring the country on an RV can be wonderful and fun adventure! We wish we could say RVing is perfect all the time, but the reality is, things break, accidents happen, and repairs are needed. That’s where RV warranties come can be a tremendous help. 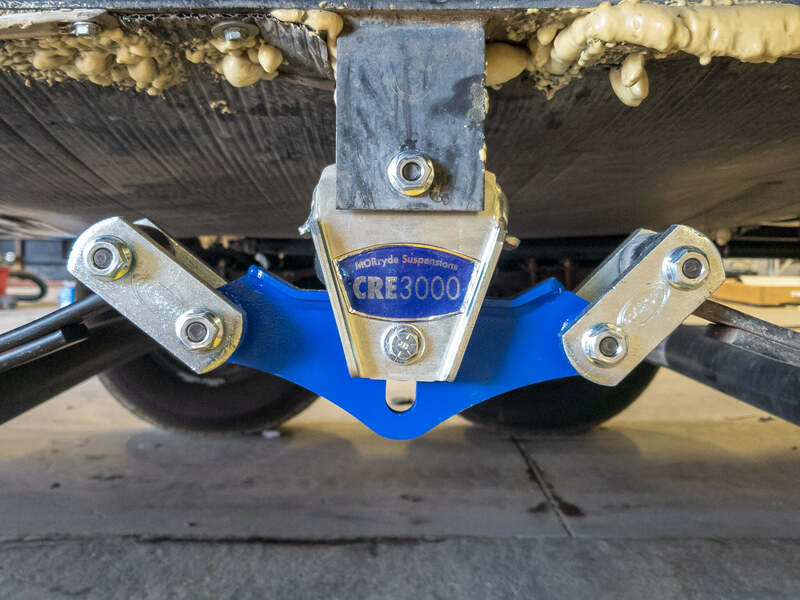 Most manufacturers offer a warranty on their trailers, fifth wheels, or RVs but it’s often for a short period of time, and sometimes have limitations. Our manufacturer, Grand Design, had a great 1 year warranty and quickly fixed or reimbursed us for the issues and repairs we had done in the first year. The weird thing is, we didn’t start to have a lot of big issues until after our 1 year warranty expired (go figure). 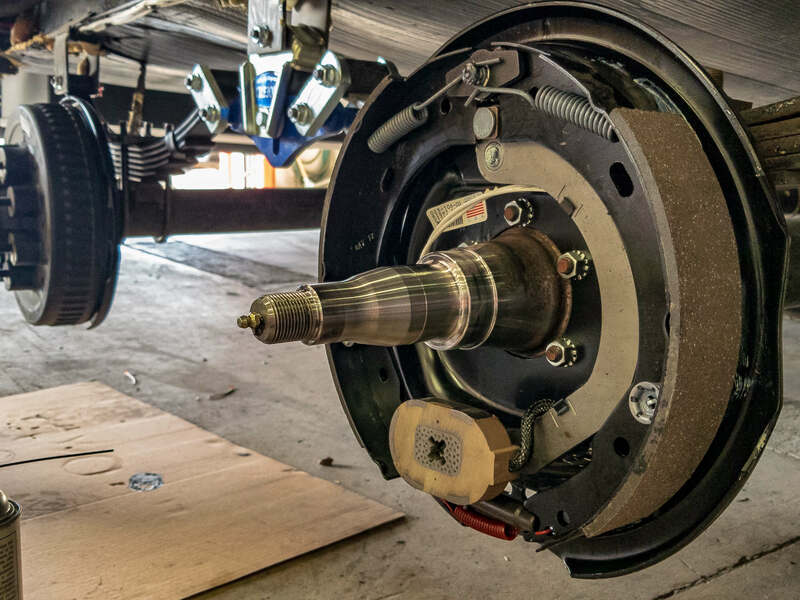 I think most RV’ers can relate to having issues well beyond the manufacturer warranty expiration, which is the main reason you would want an extended RV warranty. It provides you with the peace of mind and financial support if and when big items need to be repaired unexpectedly. Which let’s face it – will happen. We love knowing if something happens on our rig we don’t have a large unexpected bill on our hands. It’s a security net for our budget and lifestyle as full time RV’ers. what is covered in an Extended RV Warranty? No two warranties are the same. For that reason it is hard to say exactly what is covered as every plan will offer different coverage and exceptions. We are sharing our exact coverage, which is the platinum extended warranty with USA Travel Care. If you have the opportunity to purchase the same extended warranty as us, then you’ll know exactly what is covered (if they haven’t changed anything). If you’re looking at a different warranty plan, like Wholesale Warranties, or any other warranty company, then you’ll have something to compare it to. 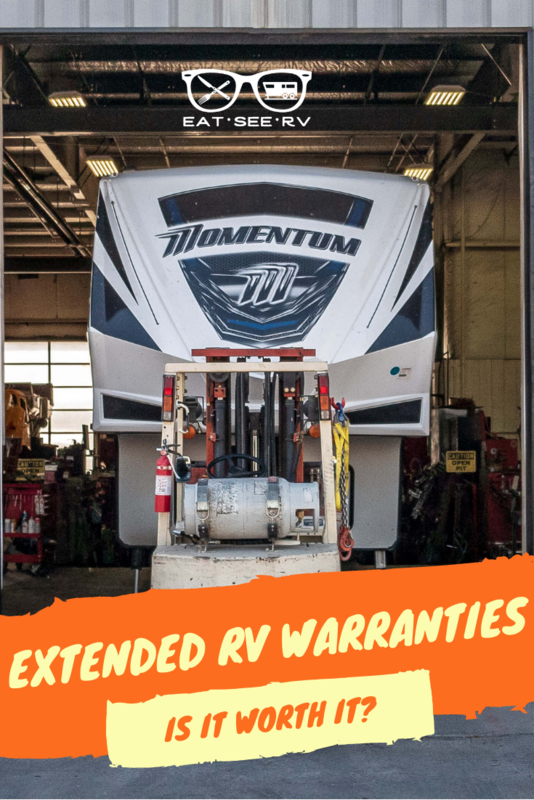 Our extended warranty plan is not perfect by any means (see the considerations area to see why), but we are happy with the coverage and feel it definitely does it’s job of covering big ticket items that may need repair on your RV or rig. With our plan, the following items are covered up to 84 months, which is 7 years! The coverage seems extensive but you should be REALLY careful to read the fine print. We’ve had SEVERAL items denied because it was not covered because of the way it broke, or what stopped working. Ridiculous as it may seem. What you’re REALLY buying when you buy an “extended warranty” is peace of mind that you’re not stuck with a big expense down the road. There is no guarantee your warranty plan will approve or fix all things that go wrong with your RV. If you’re a good saver, it may be best just to set aside cash and have a hefty reserve or savings account for future issues rather than paying for a plan with a company that may or may not fix the issues that arise. Extended RV Warranty | How Much Does It Cost? Are you wondering how much does an RV warranty cost? Well, I’m going to have to go back to my statement, no two warranties are the same so costs will vary. We purchased both the USA Travel Care Platinum Extended Warranty, and the Tire and Wheel Warranty from USA Care when we bought our RV brand new from the dealer. Since tires were not included in the platinum extended warranty, we made the additional purchase and you’ll see below, why we’re glad we did. If that seems like a high up front cost to you, it’s because it is. This is definitely one of the more expensive warranties on the market, but you get what you pay for. Just take a look at the repairs we’ve had done thus far (in our first year and half as full-timers) in order to compare the upfront cost of purchasing the warranty, to what we would have paid had we been responsible for all of our repairs. The items below are only what they have paid for or covered, we have completed other upgrades that were not covered under our warranty like our solar install and putting sheet metal under our slides so blowouts don’t damage our flooring. Below are items Grand Design actually reimbursed us for since it happened within our 1st year. We included it here because the extended warranty would have covered it if we didn’t have the manufacturer warranty. It’s pretty clear the initial upfront cost was more than covered by the repairs we had done in just the first year and half alone. We have more repairs we need completed, but are waiting to return to Florida before getting started on those, as many parts have to be ordered and we’ll have the comfort of having a home and family to stay with while they work on the RV. Is an Extended RV Warranty worth it? We definitely think the right extended RV warranty is worth it. It honestly comes down to the plan, what it covers, for how long, and the overall cost. Our specific plan still has 5 and half years left on it, and it’s already paid for itself! We know it will have paid for itself twice over just at the end of our two years on the road. Just because you have an extended RV warranty, doesn’t mean it’s worth while. There are a lot of considerations to take into account and things to look for within a warranty that can either make it a great warranty plan or not. Take a look below to see some of the major considerations to look for when choosing an extended RV warranty plan. I’m also writing this again, because it’s that important. There is no guarantee your warranty plan will approve or fix all things that go wrong with your RV. If you’re a good saver, it may be best just to set aside cash and have a hefty reserve or savings account for future issues rather than paying for a plan with a company that may or may not fix the issues that arise. It’s really up to you, your budget, spending habits, and if you prefer to go through a company or not. Since warranty coverage and cost varies from provider, it’s up to you to read the fine print and know your program before you buy it. 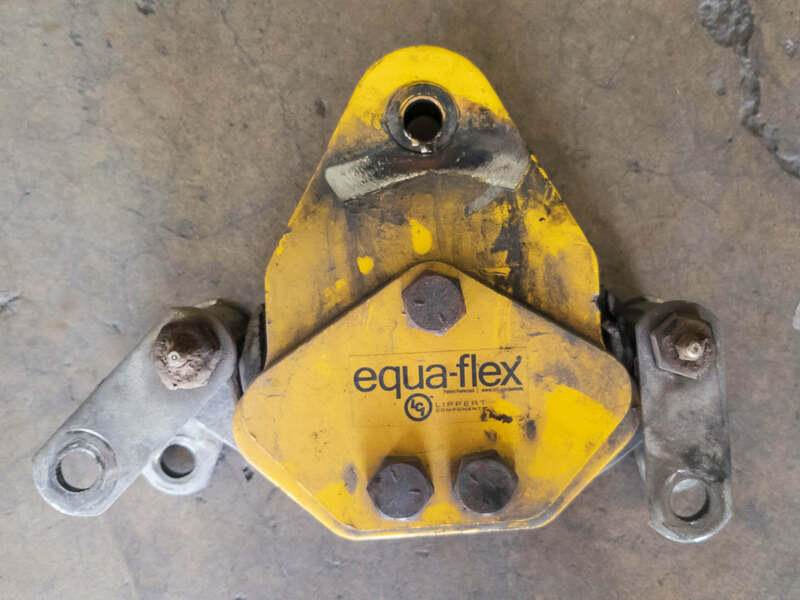 We honestly didn’t know what to look for initially when we purchased this, but we were lucky enough to have purchased a worth while extended warranty. We don’t want you to make the same rookie mistakes, so make sure to take the following into consideration when buying an extended RV warranty. Its it covering items that are worth while for you in the long run? Make sure you know exactly what it covers, and the price of the program is worth it’s coverage. Some warranties require you to go to an approved RV mechanic. I would advise staying away from any plan that requires you to go to a specific RV shop. It will only cause headaches and will limit your ability to use the warranty to cover a repair that is needed if you’re in a location where they don’t have an approved service provider. Our program allows us to go anywhere, which has been a lifesaver. Most warranty programs require pre-approval of any work done. This is very important to know BEFORE you get a repair done. While there are ways to get reimbursed (we did several times because it happened on a weekend when they were closed, or honestly we didn’t know we needed pre-approval), you are putting your own money at risk. They have a right not to reimburse you if the plan specifically says they require pre-approval. There is typically a phone number on your warranty that you will have the repair shop call. Your repair shop will submit the invoice, and the warranty company will either cut them a check or pay them with a card over the phone. It’s slightly inconvenient to need pre-approval so make sure the shop you are going to is aware they will have to call the warranty company prior to completing the work. We often ask their experience with warranty companies prior to setting our appointment for repairs, just to make sure we’re not wasting our time at a shop that won’t work with our extended warranty plan. Is your Plan Transferrable if you sell your RV? Most plans will have a specific clause about transferring the warranty to a new owner if you sell the vehicle within the warranty coverage period. This can be a nice selling feature to any potential buyers, because it’s one less item they have to purchase and they still get the protection of a warranty even though they are buying used. Our specific plan allows the warranty to be transferred for a $40 fee (in Florida) and $100 anywhere else (I think because we bought it in Florida, although I’m not sure if that’s exactly why it’s cheaper in Florida). I would advise buying a warranty plan that is transferrable if possible. Some warranty plans (even some plans with USA Travel Care) require a deductible whenever a claim is filed, similar to how an insurance company has deductibles. Our platinum plan has a $0 deductible, it is advisable to make sure you know if you are responsible for paying anything when a repair is needed or not. A deductible isn’t the end of the world, just make sure your comfortable with the amount. We hope this post has given you some insight into extended RV warranties and help you make the decision to purchase one or not. If you have had any personal experiences with RV warranties we would love to hear about it in the comments. Also let us know if you have any questions about this post below! We are Dennis and Liz! We’re two travel loving, real estate investing, foodies exploring North America full time in a Grand Design fifth wheel toy hauler. We share our lessons learned as full time RV’ers, travel tips and tricks, and the best places to eat and see in the US with you! Never miss a post, video, or update from Eat See RV! After two years of full time RVing, we decided it was time to downsize and simplify. 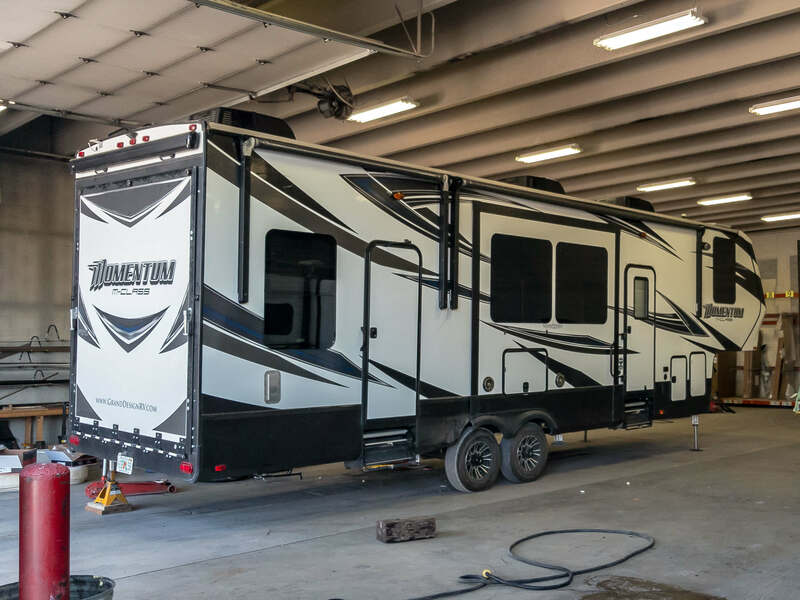 So we made it official, and sold our Grand Design Momentum 328M Toy Hauler Fifth Wheel to an amazing couple that will be making it their home! The holidays are here and that means coming up with a gift for your full time or part time RV friend or family member. To make gift giving easier this holiday season, we put together an RV gift guide to help give you gift ideas for RVers. Take a look at our top 12 gifts all under $100! Liz and Dennis have a blast in Salt Lake City. This city has a lot to eat, see, and do (including electric scooters)! Get a taste for what Utah’s largest city has to offer! Eat See & RV too! Stay up to date with each new post and video we create. You'll know exactly what's happening in our crazy RV world! Our ultimate hope is to inspire you to follow your own full time travel dreams!